Choose your website colors wisely, because those same colors are saying a lot to your visitors. Everyone knows that colors are linked to certain emotional responses for humans. When choosing that “pop” color on your site or that “Buy Now” button, its good to learn what emotions you are triggering in your customers and make sure you are impacting them positively. Color is used in marketing to invoke certain feelings from its audience. Your website is a major marketing tool for you, so learning some basics about color and emotion can go a long way in either bumping your visitors right off your site, or moving them to take action. Blue is a wonderful color to use on calls-to-action buttons when you are wanting your visitors to feel safe and secure in taking an action on your website. Use green whenever you are marketing anything that deals with health; health of our environment, our children, our finances or even our relationships. Green always adds that splash of freshness to ideas, campaigns or innovation. Orange is such a popular website color due to the amount of energy you feel from it. You will see orange used all the time on “Subscribe now” buttons and with good reason – it’s hard to resist! We love to use black when that little bit or large bit of classy is needed. Black, when used correctly adds that flair of dramatic to a site. When a clean, fresh look is needed, white always fits the bill. Too much white can look a bit austere, but created right this color can go a long way in making something complicated look easy. Splashes of gold is very powerful when conveying knowledge, ability and value. Use this color sparingly and you’ll find it to be a wonderful tool in your arsenal of colors. The color you use on your website should be evoking the emotional response you are desiring from your target market. 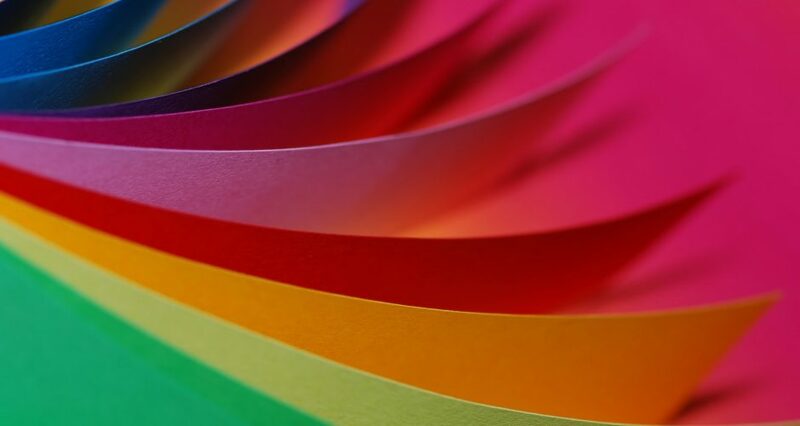 Take a little time to research color and emotions to make sure you are utilizing color correctly on your website. A little splash of color can make a big impact!